It is now four years since Flybe abandoned its own reward scheme and adopted Avios as its reward currency. Flybe recently hired a new Head of Loyalty (ex-Avios) and he appears to have set about making immediate changes. From 1st October, you are earning 50% more Avios on most Flybe tickets. Historically the cheaper ‘Just Fly’ and ‘Get More’ ticket types on Flybe earned 2 per £1 / €1 spent. ‘All In’ flexible tickets earned 4 per £1 / €1. That distinction has now gone and all tickets now earn 3 Avios per £1 / €1 spent on the fare (excluding APD). For clarity, this new rate applies to ALL flights taken from 1st October irrespective of when you booked them. If you receive the old rate of 2 Avios per £1 then you should drop Flybe a note. As well as the base fare, you can also earn Avios on whatever you pay for hold luggage, standard and extra leg room and preassigned seating. 3 Avios per £1 is generous, in my view. On routes where Flybe and BA compete at London City, you are likely to earn more Avios taking Flybe given that the cheapest British Airways economy tickets only earn 125 Avios! You won’t earn tier points on Flybe however. You can find out more on the Flybe website here. Flybe has now launched its own co-branded Avios scheme, operating off the avios.com platform. You can only credit a Flybe ticket to an avios.com account (Flybe, AerClub or Vueling Club) and not to British Airways Executive Club or Iberia Plus. Any account starting 3081xxxxxxxxx will work. You can now open an avios.com account via Flybe. Following the link on the Flybe website here to register. Membership is only available to UK, Isle of Man and Channel Islands residents. Your Avios can be transferred to British Airways using the ‘Combine My Avios’ function on ba.com or avios.com. Children cannot earn Avios via Flybe because avios.com does not allow children to have accounts. Here is an interesting one. Unlike every other airline I can think of, you only receive your points when you have flown your return journey. The outbound points will not be posted after the flight. There is an impressive catch if your points do not post. You can only claim missing Avios between 30 and 40 days from when you took the return flight. Claims made before 30 days, or after 40 days, will be dismissed. Flybe really needs to get a grip on this. Leaving a window of just 10 days when you can submit a claim for missing points is frankly silly. I’m pleased to see Flybe boosting their Avios earn rate. If nothing else, it produces fresh competition for British Airways on routes where they compete. 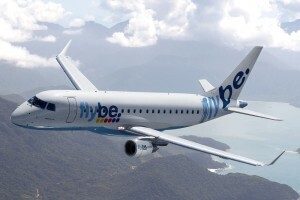 Remember that Flybe now flies from Heathrow to Aberdeen and Edinburgh. I reviewed the Flybe Heathrow to Edinburgh service, which departs from Terminal 2, here. If you want to know more about Flybe’s participation in Avios, their Avios page is here and there is an updated FAQ here. Has '£5 back on a £20 Amazon purchase' appeared on your American Express accounts? Glad to hear about this improvement. Now they need to fix the issues with Avios not posting, and start an actual loyalty scheme that rewards frequent flyers … I can earn a material benefit with regular flights with EasyJet (FlightClub) or BA (ExecutiveClub) … but nothing from Flybe. For me they are the last resort. Think about it. The Flybe senior management team has ostensibly adopted the Avios loyalty scheme. Yet they do their damnedest to avoid actually awarding points properly to the Avios loyalty scheme. They couldn’t give a monkey’s about retaining loyal Flybe customers. They are happy to p’ee them off by deliberately making it difficult to get points properly awarded, either efficiently first time or slightly belatedly second time if point award system didn’t work right. 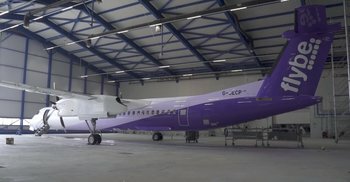 The Flybe Marketing person for this situation should be given a big bonus by the CEO for engineering this situation & saving Flybe money/ future points liabilities – then promptly sacked for failing the basics of actually making a loyalty program actually reward & incentivise loyal customers. – routes where alternatives are absolutely prohibitive (short notice to LCY where FlyBe is invariably cheaper than BA). Not a great endorsement really. How can I enroll my 4yo child to earn Avios whike flying with Flybe? I find it weird that children over 2yrs almost full paying cannot enroll via Flybe. We all have a BAEC household account and me and my wife both have as well got an Avios.com account. I wanted to enroll my daughter somewhere, where she can as well earn AVIOS on a May 2019 flight with BE. Any suggestion with whom I can do that? Appreciate a lot in advance your help. If you read the article it says you cannot earn avios for children on flybe. I have an Avios.com account starting 3081 which I have been told is going to close so I think I need to join FlyBe Avios, but the FlyBe website won’t let me as it says that I am already a member of Avios. Am I correct in thinking I need to open a new one or will the existing one continue. I have to use them as no other airline flies the route. They’ve not credited me any Avios without prompting and I now diary the 10 day window to claim. Their app is rubbish and they’ve taken out the auto checkin machines at at least 2 airports I fly through regularly, so it gets more difficult to check in. Not exactly customer orientated.